Founder of the United Nations gang could be spending the rest of his life in an American jail. Founder of the United Nations gang could be spending the rest of his life in an American jail. Clayton Roueche has pleaded guilty to drug and money laundering charges.In a Seattle courtroom, Roueche admitted to conspiring to export over a tonne of marijuana to the States and to bring back several kilograms of cocaine into Canada. News1130's legal expert Michael Shapray says Roueche can apply to serve his sentence in a Canadian Institution, but U.S. prosecutors want the gangster to serve his entire term in the U.S. "Clearly the United States, in certain circumstances, will not agree to that and will try to block that transfer because of the nature of the offense for which someone is being convicted." Shapray says attorneys in the U.S. are aware of Canada's liberal parole laws, and will argue Roueche won't serve as much time here as he would in an American jail. Prosecutors are asking for a sentence of 30 years to life. 24 year old Terrence Stephens was captured by Albany Police just after midnight on Weatherby Court. 24 year old Terrence Stephens was captured by Albany Police just after midnight on Weatherby Court.Stephens was one of the men shot during two separate gang drive by shootings March 9th in the South McKinley Street area. Stephens was shot in the stomach by a shotgun in what Investigators say was a gang turf war.Stephens was a victim that day, but Police still planned to charge him when he got out of the hospital. But Stephens checked out of the hospital early, and got away. Until yesterday, they arrested him for aggravated assault and possesion of a firearm during a crime. 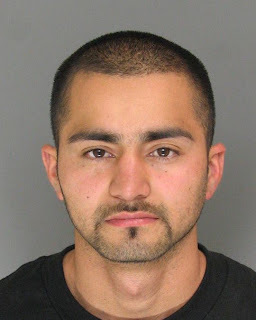 Santa Cruz Police Street Crimes Unit and the Fresno County Sheriff's Narcotics Unit arrested Pedro Escobar, German Escobar, and Jose Callejas-Alfaro. The three suspects have been identified as members of the Mara Salvatucha "MS-13" street gang.Three pounds of methamphetamine, with a wholesale value of $42,000, was seized. Police said the drugs could fetch a street value of twice as much. A handgun was also recovered, which was reported stolen out of Wilskboro, North Carolina.Following up on a tip, police said they arranged to purchase the methamphetamine from the local gang members. 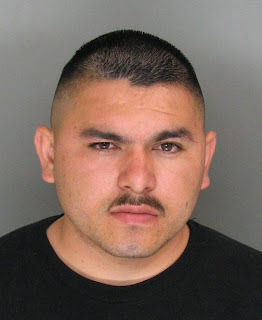 The deal was set to occur in Aptos.According to police, the drug seizure highlights a growing trend seen by local law enforcement where gangs are becoming increasingly involved in drug trafficking as a means of support. "This case represents a growing trend of street gangs involved in drug trafficking to finance activities," said Capt. Steve Clark with the Santa Cruz Police Department.All three suspects were charged with possession of methamphetamine for sale, conspiracy to commit a crime, and gang enhancements. German Escobar was also charged with possession of a stolen hand gun. Jose Callejas-Alfaro and German Escobar were both charged with resisting arrest. Gangster has been sentenced to death for murdering two people, including a 14-year-old girl who was shot as she crouched outside a Compton market. Steven Cheatham has been sentenced to death for murdering two people, including a 14-year-old girl who was shot as she crouched outside a Compton market.A judge in Los Angeles sentenced Steven Cheatham on Friday.Cheatham, 32, was convicted in October of two counts of first-degree murder and four counts of attempted murder. Prosecutors say Cheatham confronted Elvira Ramirez and her two friends as she went to use a pay phone near the market in 2001. He wounded her friends, then shot the girl in the back of the head and again in the leg after she fell to the ground.None of the victims had any gang affiliation.Cheatham also was sentenced for fatally shooting an unarmed man in the face in 1998 and wounding two people in 2000.
crackdown on Saginaw's gang problem continued Friday with the sentencing of the man the federal government says is the leader of the city's most violent gang. Stanley Brazil was convicted of drug trafficking last year. He says he was railroaded. The reason law enforcement agencies wanted the reputed Sunnyside gang members charged in federal court was in order to get tough prison sentences. That's what Brazil got.He walked out of the federal courthouse in Bay City after being sentenced to 380 months in prison, which is more than 31 years.A jury convicted him last September of drug trafficking.A Michigan State Police report was part of testimony during a state Senate hearing on gang violence,The report details how investigators believed Brazil was the kingpin of the Sunnyside gang, a gang law enforcement agencies believe is behind a lot of the gun violence in the city. "I think that Mr. Brazil distributed kilos and kilos and kilos of crack cocaine and powder cocaine in Saginaw and ruined a lot of lives and created a lot of violence, frankly," said Assistant U.S. Attorney Barbara Tanase. As Brazil left the courthouse, he proclaimed his innocence. "(They) railroaded me," he said. "I'm innocent. "Federal, state and local agencies nabbed Brazil and 30 other reputed Sunnyside members in an undercover operation that ran for two years.It was dubbed Operation Sunset, with the help of an associate of the gang. "He's not in a witness relocation program, but he's in a safe spot," Tanase said.Brazil's conviction means 30 of the 31 alleged Sunnyside gang members who have been charged in federal court have ei been convicted and sentenced to prison. John McKinney Sr. is awaiting trial. "We have to continue," Tanase said. "It hasn't ended. There are other gangs out there and other groups we will have to go after. "Brazil's attorney declined comment.Brazil is appealing his conviction. Domenyk Noonan transfered into hospital from Frankland Prison in Durham last week because of problems with his pancreas. In September last year he was rushed to hospital after collapsing in his cell with the same illness. Friends say he is a sick man who has lost more than six stone in less than six months and has a cyst on his pancreas which requires surgery. Noonan, whose brother Desmond was stabbed to death on a Chorlton housing estate in 2005, was jailed for nine-and-a-half years in the same year after a gun and ammunition were found in his car. The gangster - who changed his surname to Lattlay-Fottfoy - is a category A prisoner which means he is among the highest-risk, most closely guarded prisoners.In 1993, while on remand accused of having a dangerous dog, Noonan escaped from custody when being transported by taxi from Manchester Crown Court to Preston jail. In an attempt to disguise the escape as a kidnap, Noonan was sprung by two masked men who threatened prison guards with a gun when the taxi stopped at traffic lights in Salford. He also rang the Manchester Evening News saying he had been abducted by captors demanding payment of a £50,000 debt.But following a police investigation it was revealed the 'abduction' had been staged and that Noonan had arranged the escape so that he could take part in a £1.5m robbery.Close friends and ex-girlfriend Debbie Roberts say that on both occasions Noonan was taken to hospital the prison failed to inform them or tell them his condition despite numerous calls and letters.They said the gangster is now seeking legal advice with a view to suing the Prison Service over claims there was a delay in getting him to hospital. Debbie said that on the first occasion he was taken to hospital she had asked the resident priest to visit him and let his family know how he was, but the priest was denied access and nursing staff said they could not pass on any information about his condition over the telephone.She said relatives had only discovered he was in hospital through lawyers who had been told by prison staff they would have a wasted trip if they went to the jail for a pre-planned visit. She said: "I wrote to the governor of the prison to ask why they had not informed me when he had been taken to hospital and they wrote back saying they were not obliged to unless it was life threatening. "I went to see him a week ago before he was taken into hospital again. He had lost about six stone and looked so ill that if I could have taken him to A&E myself there and then I would have done." 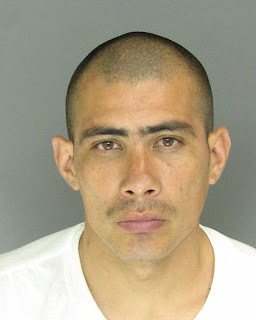 Axel Danilo Ramirez Espinoza, known as “El Smiley” and the reputed leader of the Mara 18 gang, was arrested after a gunfight that left another suspected criminal dead, deputy police director Rember Larios said.The 22-year-old Ramirez was identified publicly last month by Interior Minister Salvador Gandara as the person behind this year’s wave of killings of bus drivers who resisted the extortion.Eighty-five drivers were murdered last year, more than double the 37 slain in 2007, according to police statistics, while the 2009 toll is already nearing 100, including drivers, drivers’ assistants, passengers, mechanics and even a government inspector. More than 1 million people in greater Guatemala City depend on buses to get around.The unidentified gang member killed in the shootout with police was one of Ramirez’s bodyguards, Larios said.Police are looking for three other suspects who managed to get away.Officers found two automatic pistols, ammunition, two grenades, drugs and “documentary evidence” linking the gang leader to the extortion racket, Larios said.Ramirez’s arrest was “a small achievement” by the security forces,” Interior Minister Gandara said, adding that the suspect’s capture was made possible by intelligence work and the cooperation of citizens.The gang leader, for his part, said he had nothing to do with the extortion rackets and killings of drivers, but he acknowledged involvement in the deaths of several members of the rival Mara Salvatrucha gang.Ramirez was sentenced to five years in prison for his role in the August 2005 slayings of two underage Salvatrucha members, but he was released last December for good behavior.Since then, Ramirez managed to regain the leadership of the Mara 18 in the western section of the capital, overseeing extortion rackets and ordering the killings of drivers.Earlier this month, the government said it planned to spend about $35 million in 2009-2011 to install a new payment system on Guatemala’s public buses that officials hope will prevent robberies and extortion of drivers.Under the new system, riders will no longer pay their fares in cash, instead purchasing cards that can be used to travel on the buses.The new system, which will require that the nearly 3,000 buses operating in the capital be equipped with machines to read the cards, is expected to start operating in six months.Street gangs are blamed for much of the violence plaguing this Central American nation. The Mara Salvatrucha, one of several gangs operating in Guatemala, is a particularly violent criminal organization that evolved on the streets of Los Angeles during the 1980s.Most of the gang’s members were young Salvadorans whose parents fled their nation’s civil war for the United States.Because many of the gang members were born in El Salvador, they were subject to deportation when rounded up during crackdowns in California in the 1990s.Sent back “home” to a land they barely knew, they formed gangs in San Salvador that spread throughout the small nation and to neighboring countries in Central America, where membership is now counted in the tens, or even hundreds of thousands, and gang members are engaged in murder, drug dealing, kidnapping and people smuggling. Jihad Murad, 23, was arrested on Tuesday afternoon during a raid on his Prospect home, in western Sydney, over the fight early on Sunday morning.The brawl allegedly began after Murad was refused entry to Kings Cross' Vegas Hotel.Murad, whom detectives allege is a member of the Notorious outlaw motorcycle gang, was later charged with affray.Magistrate Vivien Swain granted Murad bail during an appearance at Blacktown Local Court on Wednesday, on condition he report to police daily, stay away from Kings Cross, and not approach or contact any employee of the Vegas Hotel.He is due to reappear at Blacktown Local Court on April 21.Murad is the latest arrest by Strike Force Raptor, set up after a fatal bikie brawl at Sydney airport last month.More than 20 bikie gang members have been arrested and charged over various drugs, weapons and assault charges in the past three weeks. Drug dealer associated with murdered crime figure Sean Cloherty remained in custody today over a €900,000 drugs seizure in north Dublin.The man (35) is believed to be a key player in a drugs gang supplying heroin and cocaine on Dublin's south quays and north inner city. A garda operation which saw heroin and cocaine seized in Santry and Balbriggan last Monday is the second major blow to the man's gang in the past eight months. The outfit is run from a base in the Sean McDermott Street area of the north inner city. Members of the gang are suspected of shooting their former associate Cloherty last November in an internal row that followed the seizure of €323,000 of drugs in Balbriggan last August. Mr Cloherty had been arrested by gardai over that seizure. Officers from Pearse Street, who made the seizure on Easter Monday, have targeted the gang for the past two years, and had arrested Mr Cloherty in 2007 as part of an operation then. They also carried out the Balbriggan seizure last August. The gang are suspected of supplying drugs to users on the north and south quays, and also have sold to drug addicts in treatment at inner-city clinics. They operate from a base in Santry and a separate distribution address in the north inner city, gardai believe. This week's seizure was made after gardai, acting on a tip off, mounted a surveillance operation at an underground car park in Santry. They swooped and arrested one of the men as he opened the door of a car, which was later found to contain the heroin. Officers seized the drugs, the car, and three other vehicles that they suspect the man of using. The vehicles have undergone forensic examination and will be held pending the outcome of the investigation. Gardai believe that the vehicles were being used to transport the drugs into the city centre for distribution there. Popular dance hall entertainer Ninja Man was again remanded when he appeared before the Half-Way Tree Gun Court in St. Andrew Tuesday morning to answer to murder charges. The entertainer, whose given name is Desmond Balentine, is to return on May 7 when his attorneys are expected to make another application for bail.He was arrested last month in connection with the fatal shooting of Ricardo Johnson, 20, also known as “Ricky Trooper”.The police say on the March 17, Ninja Man and a group of men went to a section of Marl Road in Olympic Gardens, Sr. Andrew where they were involved in a dispute with a man.The men reportedly fired shots at the man, however, the bullets missed and hit Mr. Johnson.After his death, the police issued a bulletin for Ninja Man to turn himself in for questioning.A day later, the entertainer went to the police accompanied by his lawyer. He was questioned and later charged with murder.And the police are continuing their search for four other suspects said to be involved in the shooting death of Mr. Johnson. They include Ninja Man’s teenage son. A Sacramento judge today sentenced a career criminal with a street gang history to life in prison with no chance of parole, plus 50 years, for last year's murder of a man in Meadowview.George Clifford Mims, 41, received the term from Superior Court Judge Timothy M. Frawley for the Sept. 1 shooting death of Floyd Deshawn Wormley, 33, outside a home on 69th Avenue where a group of people had gathered at 4 o'clock in the morning.According to Mims' probation report, the defendant was sitting in his car when he made a remark to a woman that offended Wormley.The report said that Wormley then told Mims, "Don't disrespect my wife like that." Mims responded by shooting Wormley to death, according to the report. Mims, a one-time reputed member of the 29th Street Crips street gang, has previous convictions for assault with a deadly weapon, being an ex-convict with a gun, driving under the influence and felony evasion. Eric Charles Sanford, 21, faces up to 10 years in prison on the charge, which was supported by video posted online showing him holding a pistol. In a statement, a U.S. Attorney's Office spokeswoman said Sanford was arrested following a Nov. 15 traffic stop. Officers examining his car spotted a gun on the seat where he'd been sitting. An alleged member of the Deuce 8 street gang, Sanford had been convicted seven months earlier on a felony cocaine possession charge. That felony conviction bars him from possessing a firearm.Online, Sanford referred to himself as "the general." In a story on Sanford published in January, former Seattle P-I reporter Claudia Rowe was told that the young man often hung out directly across the street from Garfield High School. Ted Howard, principal of the school, said he'd seen a student rush to shake Sanfords hand "like he'd won the lottery. "At the time the Rowe's piece ran, Sanford's defense attorney asserted his client was "being tarred for his associations. "Sanford faces a maximum 10-year prison term. Cody Rae Haevischer, 24, faces six counts of first-degree murder. Cody Rae Haevischer, 24, faces six counts of first-degree murder.Four of the victims had gang links: Cory Lal, 21, Michael Lal, 26, Edward Narong, 22 and Ryan Bartolomeo, 19. The other victims, Christopher Mohan, 22 and Ed Schellenberg, 55, were innocent bystanders.Haevischer also faces a charge of conspiracy to commit murder.All six men were shot in the head execution-style in a Surrey highrise in October 2007.Haevischer is scheduled to appear in Surrey Provincial Court today, under heavy security. He was arrested at gunpoint by emergency response team members in Houston, B.C. on Friday.Nanaimo RCMP say he is known to regularly visit the city to see family or party but prior to his arrest, according to Cpl. Dale Carr of the Integrated Homicide Investigative Team, Haevischer did not live in Nanaimo.Police have monitored his whereabouts when he is in the city.Haevischer is also known to be a longtime friend of the Abbotsford gangster brothers James, Jonathon and Jarrod Bacon, even partying in Cancun, Mexico with the trio and other Red Scorpion associates. The Bacons have survived targeted hits.James Bacon, 23, will appear in court along with Haevischer today, charged with conspiracy and first-degree murder in the death of Cory Lal.Also facing charges is Matthew James Johnston, 24, of New Westminister, who faces a conspiracy charge in the death of Cory Lal and six counts of first degree murder.On Friday, Dennis Richard Karbovanec, 27, another Red Scorpion associate, pled guilty to the murder of Mohan, Bartolomeo and Michael Lal. He also pled guilty to conspiracy to commit the murder of Cory Lal. Police and prosecutors believe the conviction of the killers and their cohorts has dealt a body blow to the Gooch gang, whose members have dealt drugs, carried out violent robberies, and fought fierce gun battles with underworld enemies for nearly twenty years. 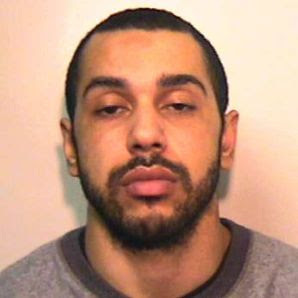 Gang leader Colin Joyce, 29, of no fixed abode, was convicted of killing father-of-two Ucal Chin, 24, who was shot dead in a daylight ambush in June 2007, at Anson Road, Longsight. He believed the young father to be a member of rival gang, the Longsight Crew. The following month Joyce and fellow gang leader Lee Amos, 33, of no fixed abode led a drive-by hit squad that targeted mourners paying their respects to Ucal at a wake on Frobisher Close, Longsight.Tyrone Gilbert was killed after the gunmen sprayed the street with bullets after pulling up in three high-performance cars with blacked out windows. The 23-year-old left behind three children and a pregnant partner.Joyce and Amos’ accomplices in the Gilbert murder were crack cocaine and heroin dealers Aeeron Campbell, 25, of Withington, Narada Williams, 28, of Fallowfield, and Ricardo Williams, 26, of Moston. All five were found guilty of the murder of Tyrone and the attempted murder of Michael Gordon who was shot in the leg in the same incident. Joyce, Williams, Williams and Campbell were found guilty of conspiracy to possess firearms with intent to endanger life. Williams, Williams and Campbell were convicted of conspiracy to supply Class A drugs.The six month trial at Liverpool Crown Court heard that detectives used mobile phone technology to link the guilty men to the Chin and Gilbert murders. And a series of special legal powers was used by the Crown to shatter the wall of silence which has hampered similar investigations in the past.Narada Williams has been found guilty of an additional charge of possessing a firearm with intent to endanger life for his part in a shootout with rivals from the Doddington Gang at Wilcock Street, Moss Side. Kayael Wint, 20, of Old Trafford and Tyler Joel Mullings, 18, of Urmston have been found guilty of possessing a firearm with intent to endanger life for their part in the same gunfight. Their fellow gang members Hassan Shah, 25, of Longsight and Aaron Alexander, 23, of Gorton, have also been found guilty of possession of firearms with intent to endanger life and conspiracy to supply Class A drugs. Ricci Moss, 21, of Denton, has also been found guilty of conspiracy to supply Class A drugs.Amos was also charged with the murder of Ucal Chin. The charge will lie on file after the jury failed to reach a verdict.An eleventh man, Gooch gang driver Gonoo Hussain, 26, of Longsight, pleaded guilty to conspiracy to possess firearms with intent to endanger life and conspiracy to supply Class A drugs at an earlier hearing.They will all be sentenced this afternoon and tomorrow. Red Scorpion gangbanger Dennis Karbovanec has pleaded guilty to three counts of secondt-degree murder in connection with the Surrey Six massacre on Oct. 19, 2007. Karbovanec pleaded guilty in B.C. Supreme Court in Vancouver Friday to the killings, as well as one count of conspiracy to commit murder. Three others were also to be charged, including Jamie Bacon, 23, Matt Johnson and Cody Haevischer and were being arrested by Emergency Response Teams. All are linked to the Red Scorpion gang. Steve Brown, the brother-in-law of one man killed in the slaughter at the Balmoral Tower apartment 18 months ago -- said he was relieved at the charges. Brown's friend and relative Ed Schellenberg was an innocent passerby on the 15th floor of the building fixing the gas fireplace when the killers arrived. "I think credit has to go to the IHIT detectives. I know they have had two teams of detectives working full-time and all the credit goes to the police," Brown said. "We need to get justice for Ed so that his wife Lois and his two adult kids can have closure. "A second innocent killed was Chris Mohan, a 22-year-old who lived across the hall from the death penthouse and was on his way to a basketball game when the killers arrived. His mother Eileen has been a tireless crusader against gang violence ever since.